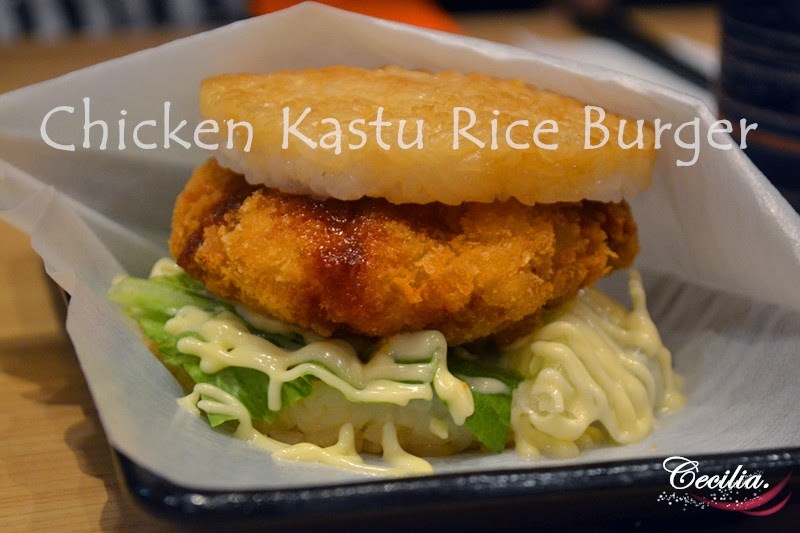 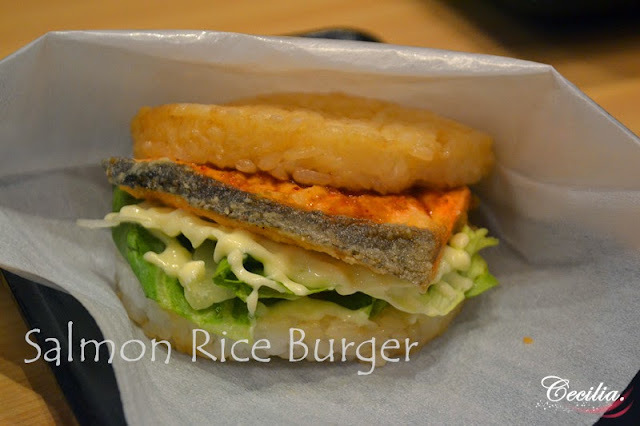 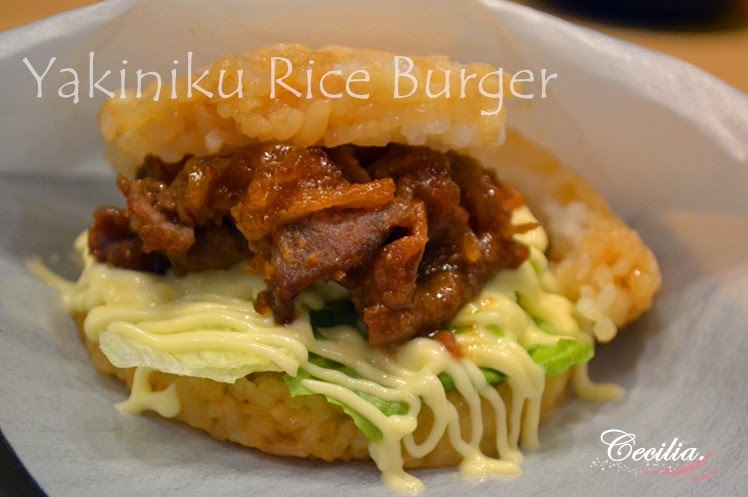 Japanese Rice Burgers-- the first introduced from Japanese Restaurant, SUSHI KING. 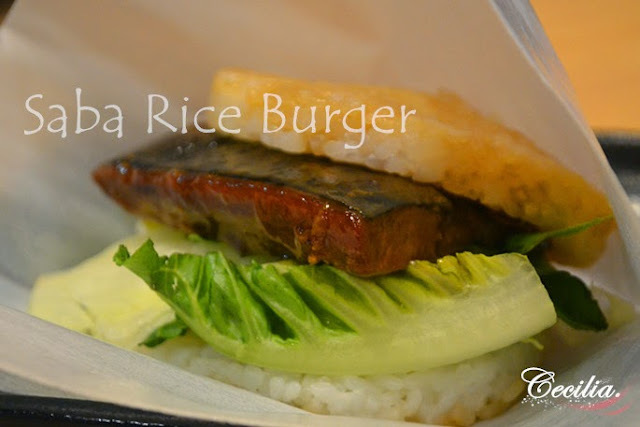 Rice burgers are made with Japanese pressed rice cakes with fillings and this also a healthy alternative to traditional burgers. 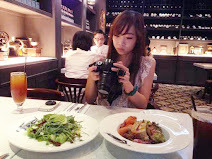 Now is starting booming popularity in Malaysia. Filled with juicy flame-grilled salmon belly, topped with wasabi and spicy sauce. 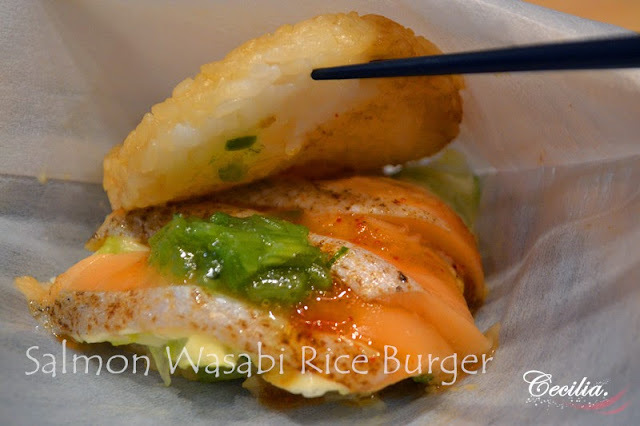 Wasabi is made with steam which different with the normal wasabi sauce. 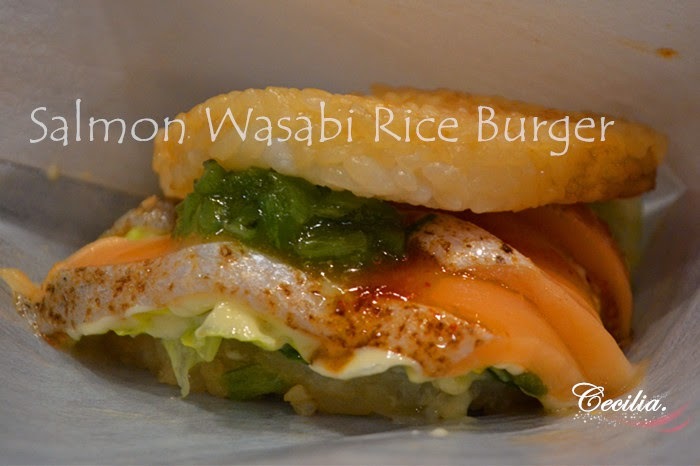 Cooked salmon made with a succulent piece of salmon steak, accompanied with fresh lettuce and a tinge of spicy sauce and mayonnaise. 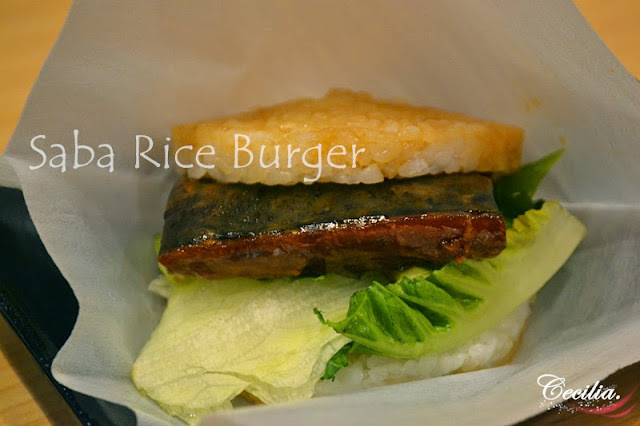 Sweet, juicy and grilled to perfection, savour the delightful blend of mackerel with teriyaki sauce on delicious rice patties, accompanied with lettuce and teriyaki sauce. 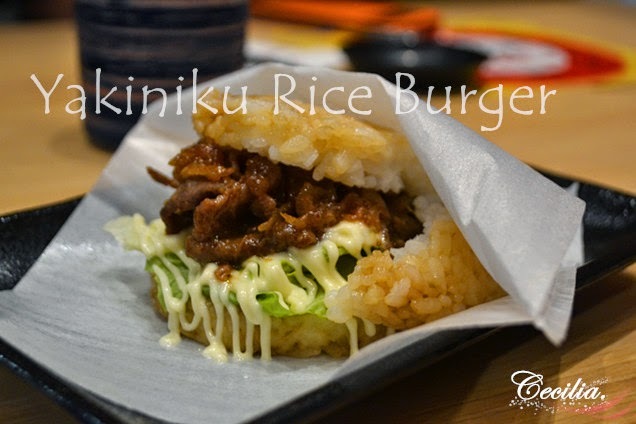 Definitely who was a fan of beef. The rice burger is made with succulent pan fried beef, accompanied by fresh lettuce and mayonnaise to perfect the taste. 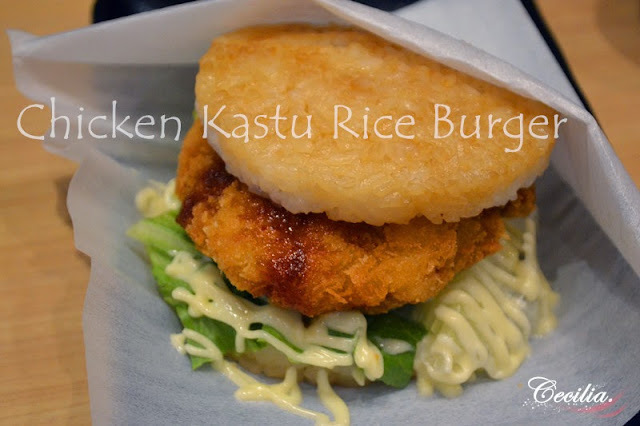 Crunchy from the deep fried breaded chicken fillet with a hint of spice, topped with lettuce and mayonnaise to seal the note. 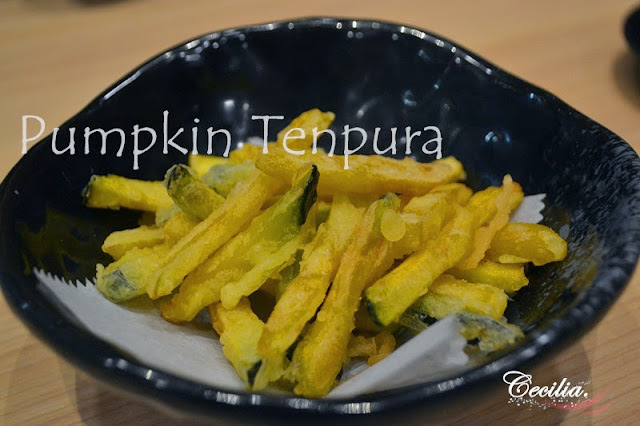 To complement the revolutionary burger, crispy pumpkin tenpura will be introduced in this meal and Miso soup that send you to gourmet paradise. 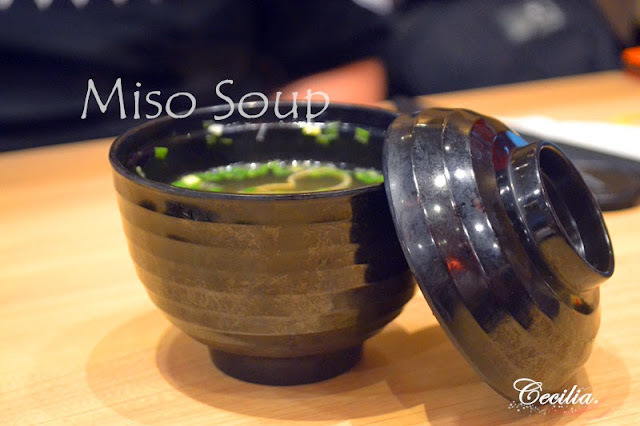 Of course you can order as ala carte with a charge RM5 for pumpkin tenpura and RM3 for Miso soup. 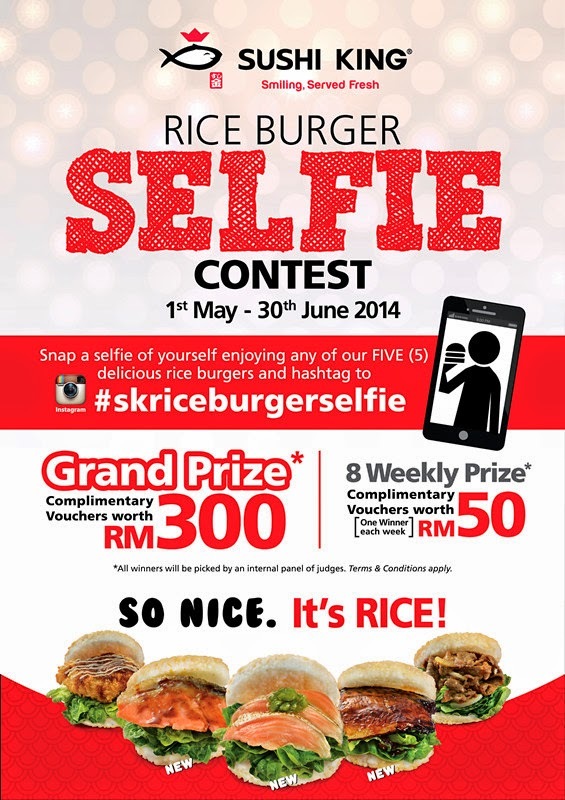 With the new introduced of rice burger, SUSHI KING has launching SELFIE contest from 1st May to 30th June 2014. Just simply snap a picture of yourself enjoying any one of the delicious rice burgers and post it on Instagram with the hashtag #skriceburgerselfie to winning a Grand Price of RM300 complimentary vouchers and also weekly prize of RM50 complimentary vouchers. 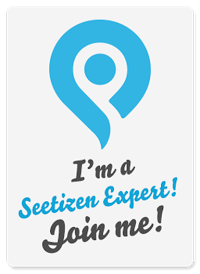 This is seasonal promotion with limited time. Should not be missed before the stock last. This promotion is applicable in all SUSHI KING outlet except Sushi King Express AEON Kulai Jaya.